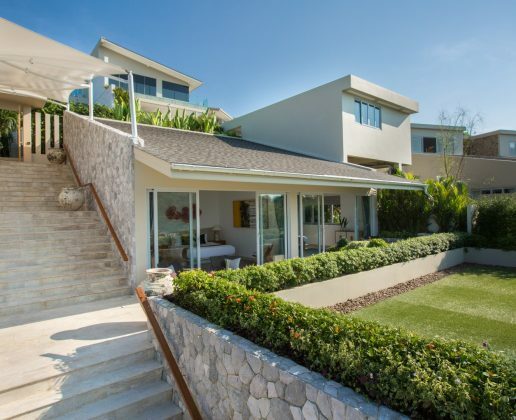 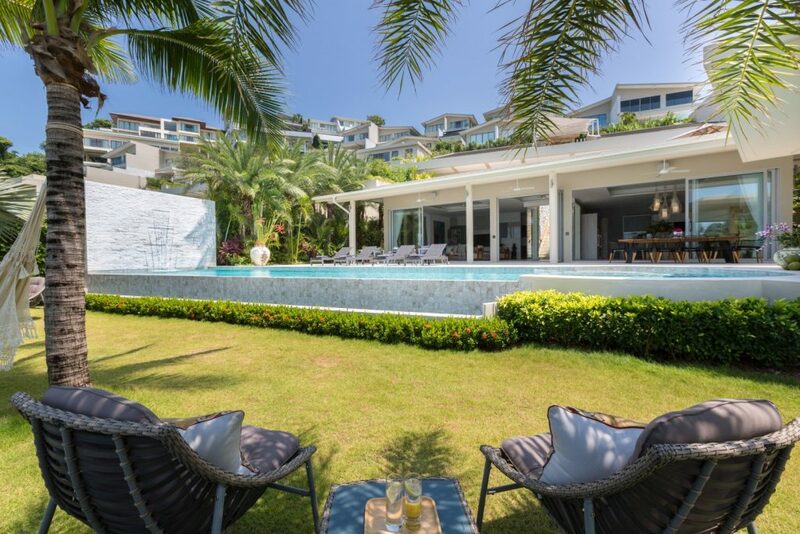 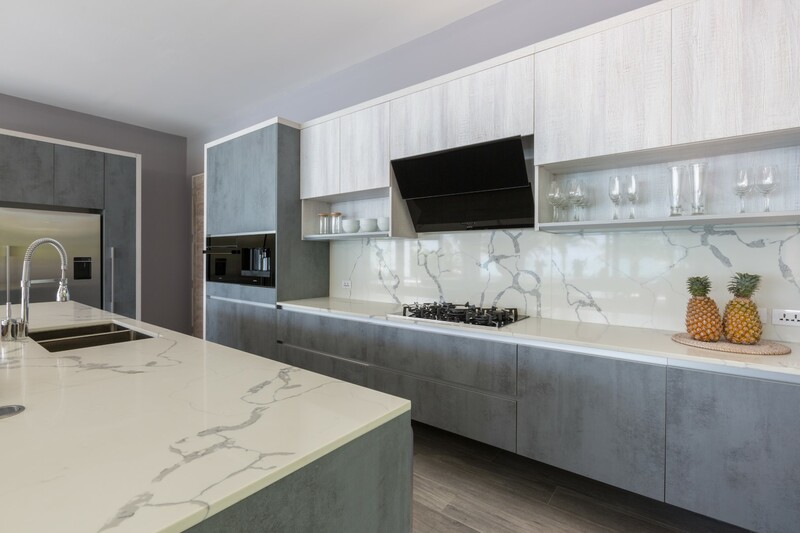 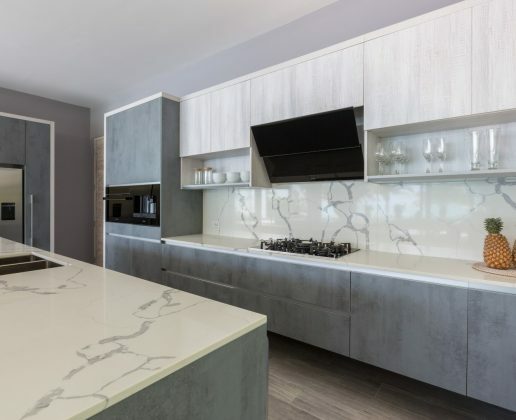 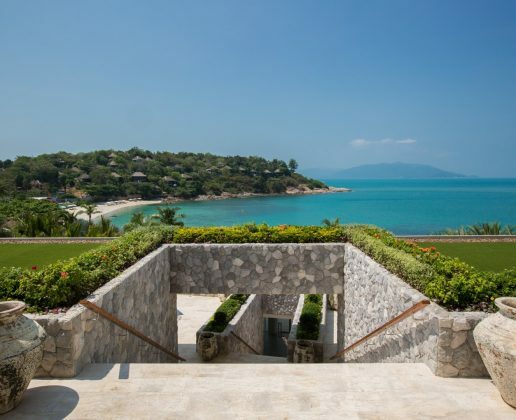 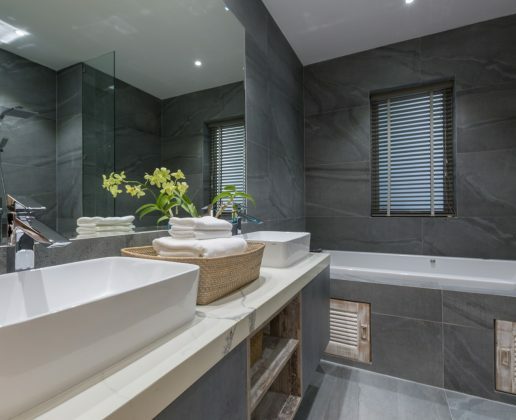 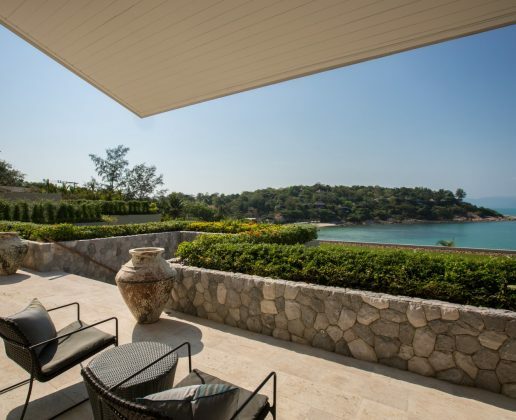 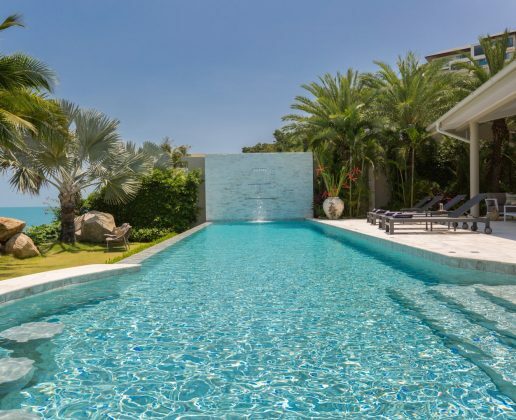 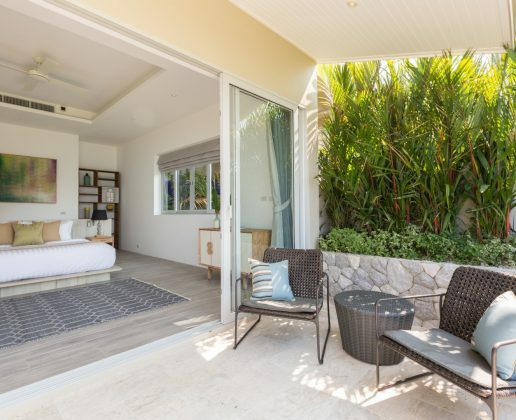 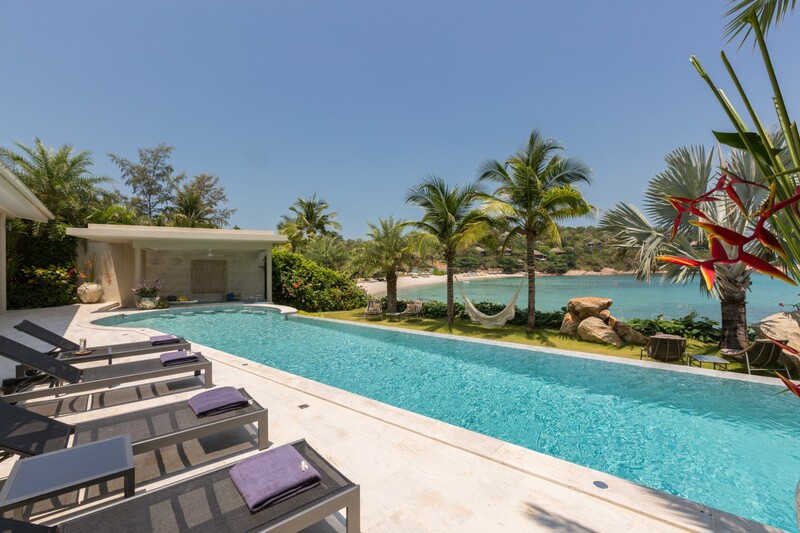 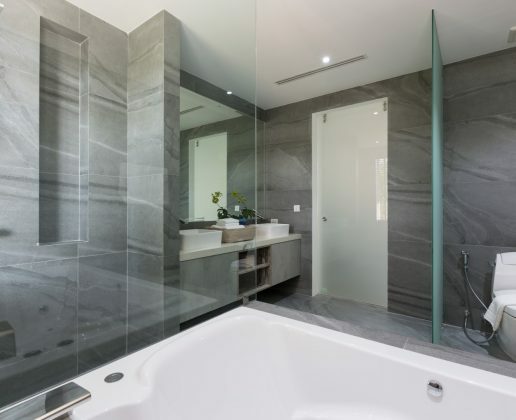 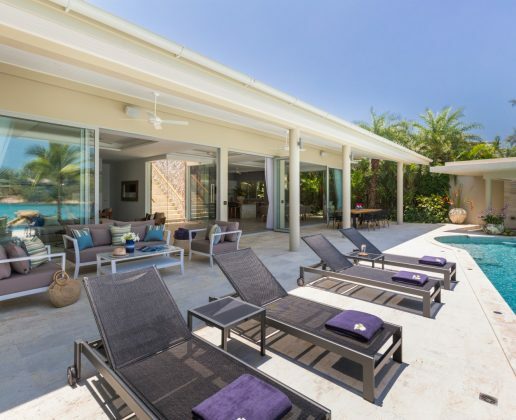 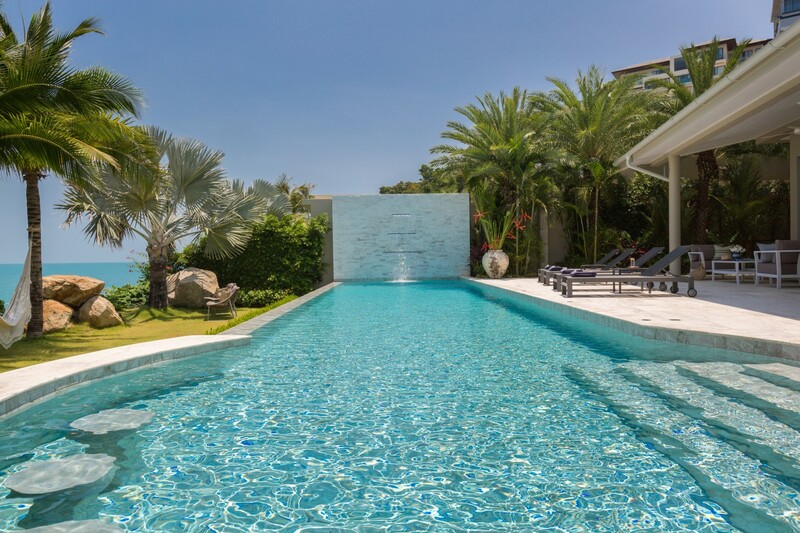 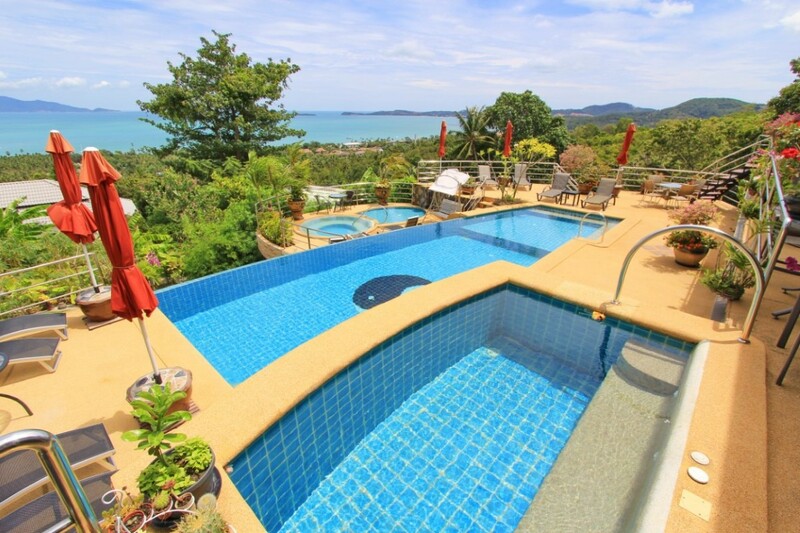 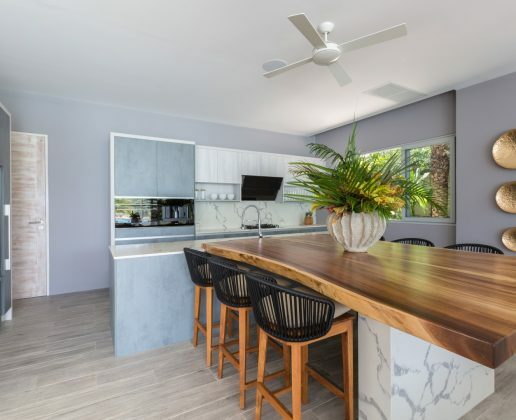 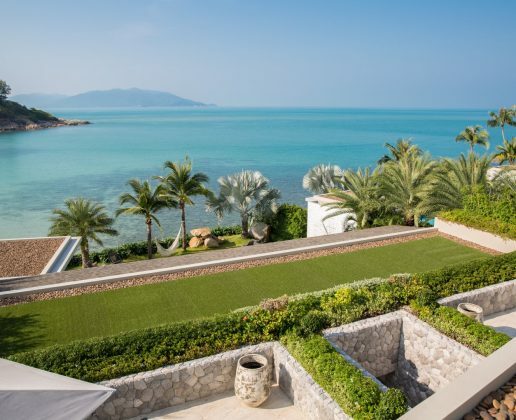 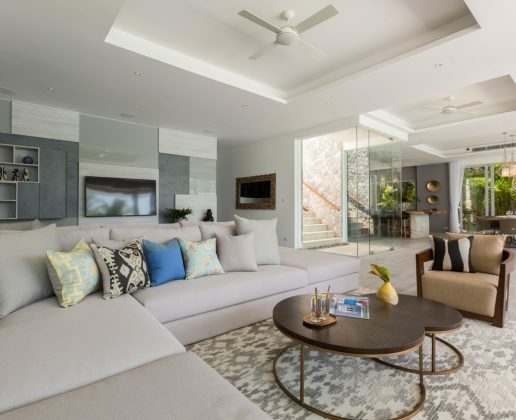 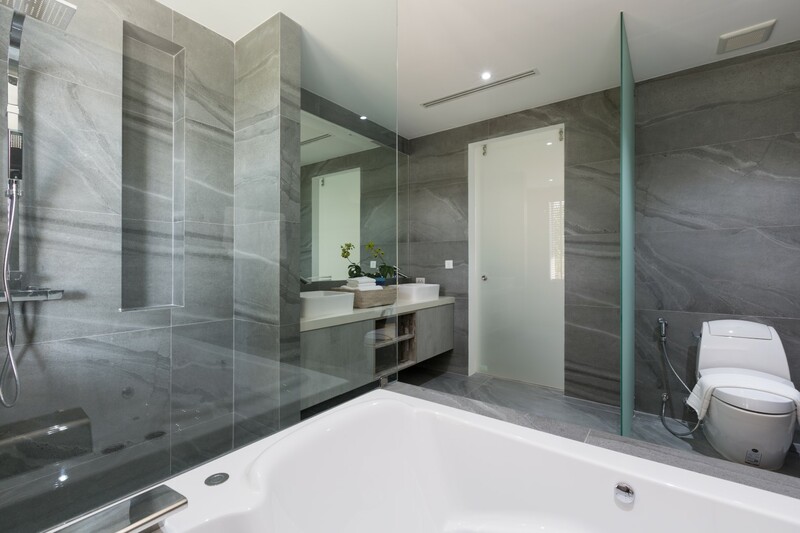 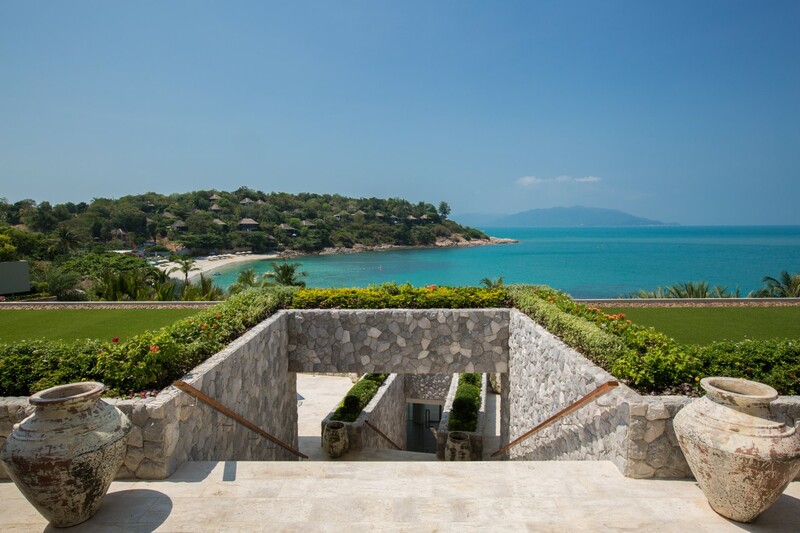 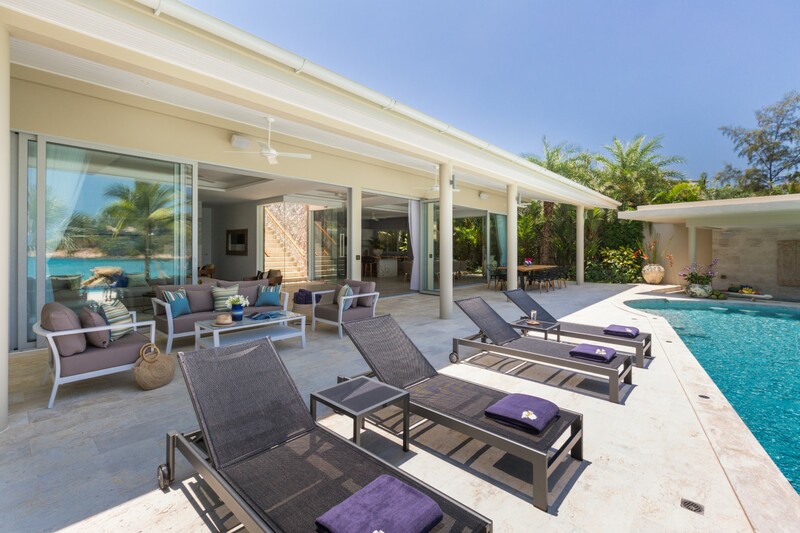 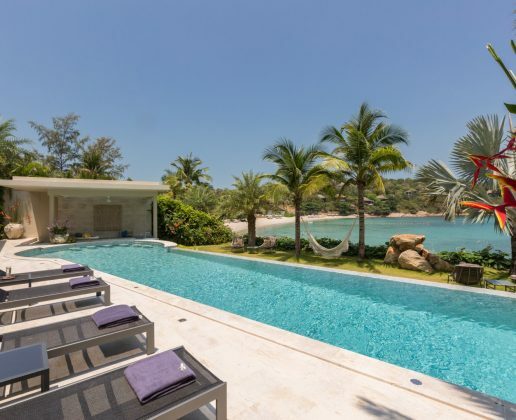 Located within the Bayside Beachfront Villa community this 6 bedroom, 7 bathroom villa is situated on the Sea front with 24 meters of Sea frontage and is located in the north-eastern tip of Koh Samui, Samrong Bay. 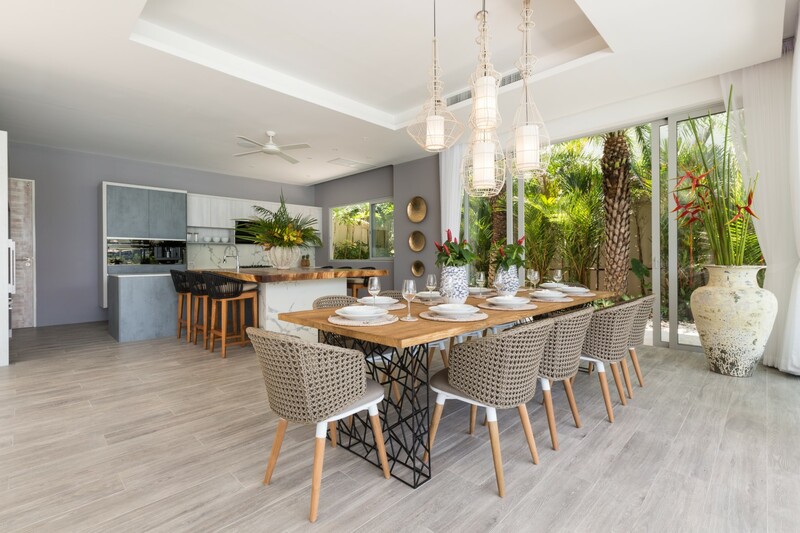 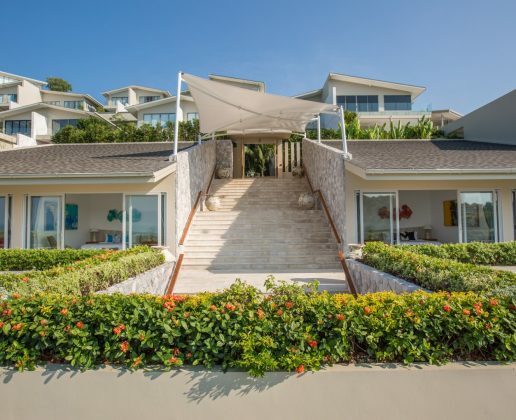 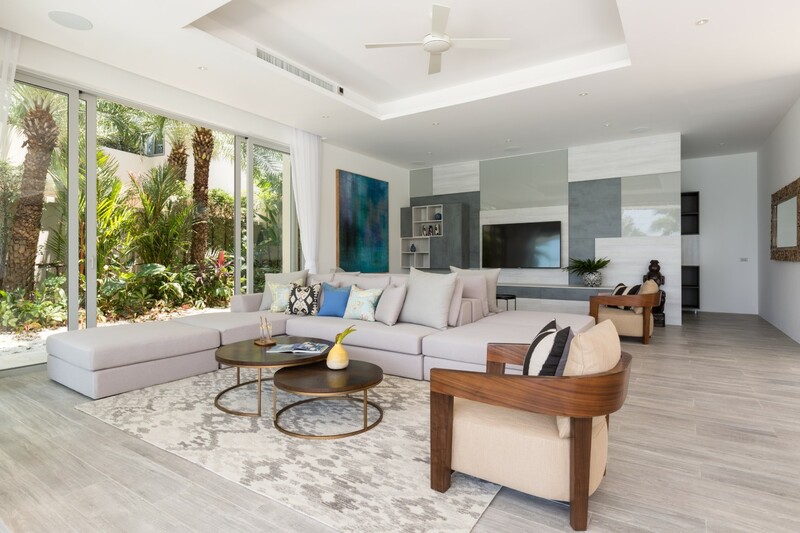 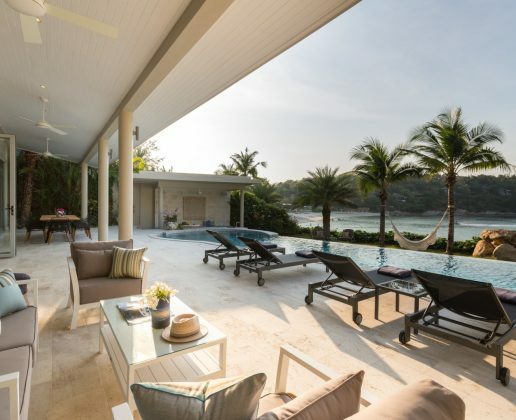 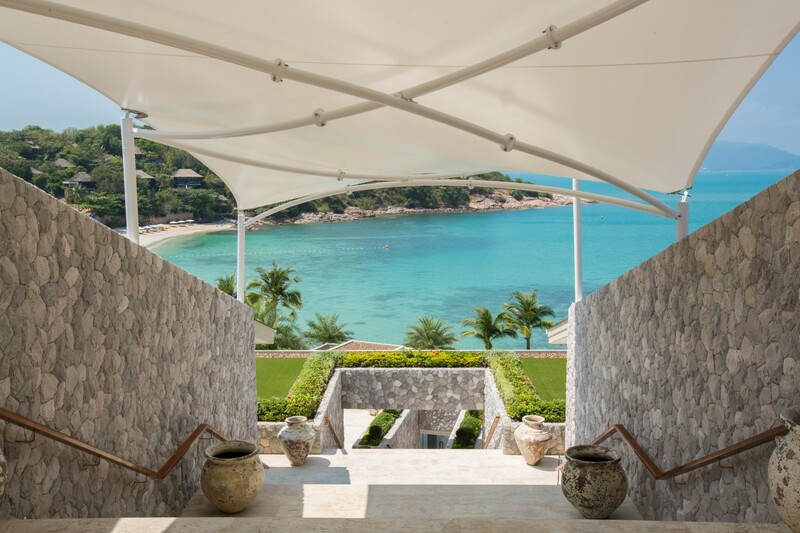 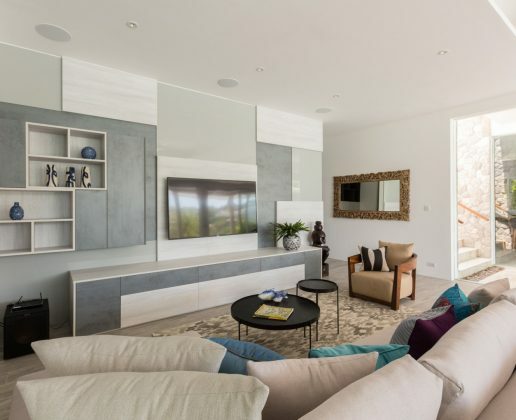 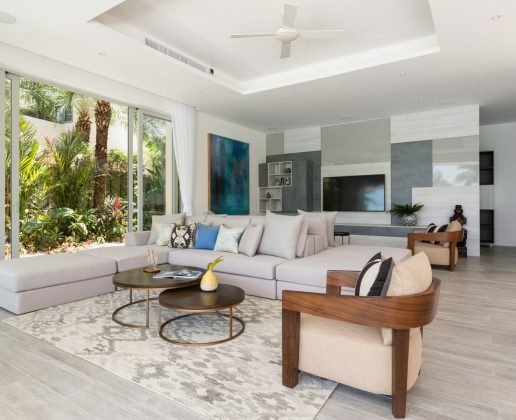 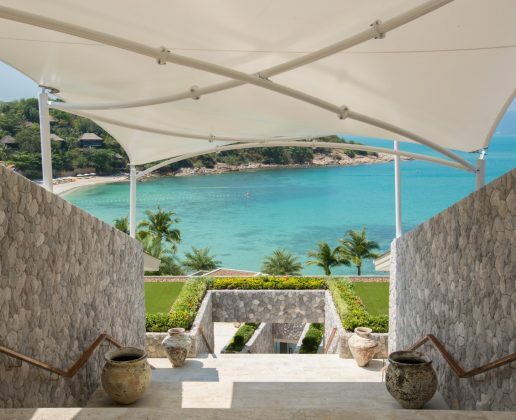 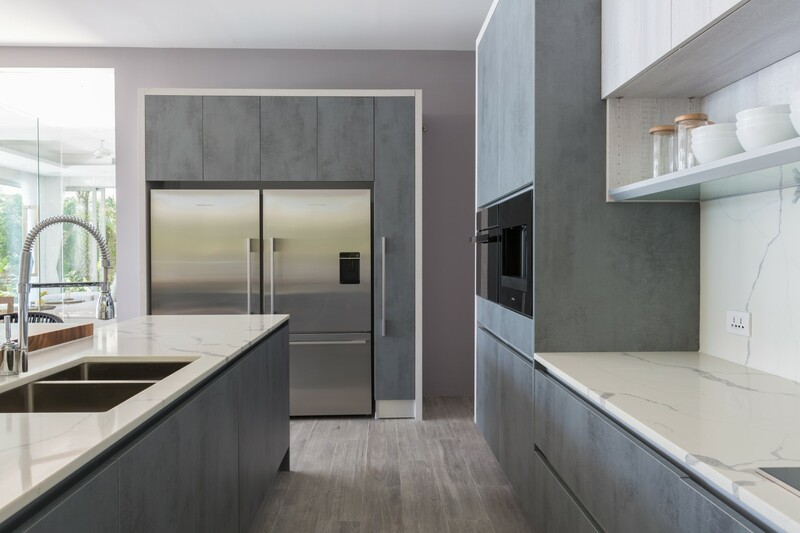 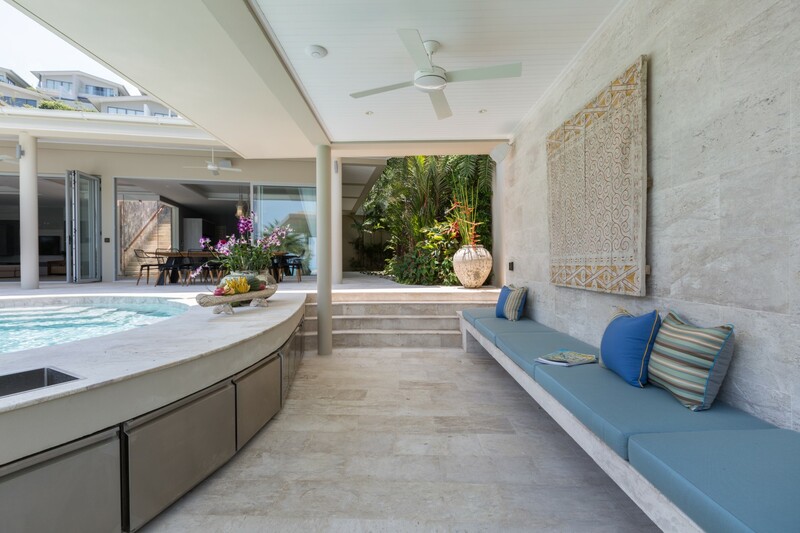 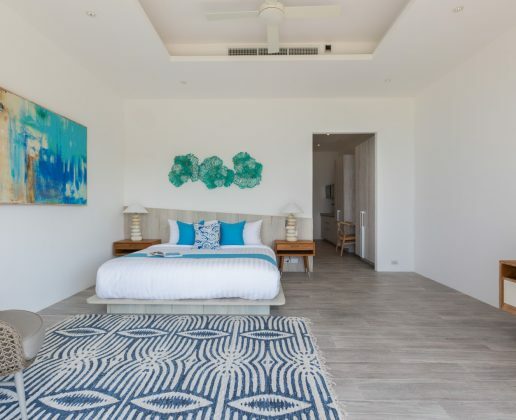 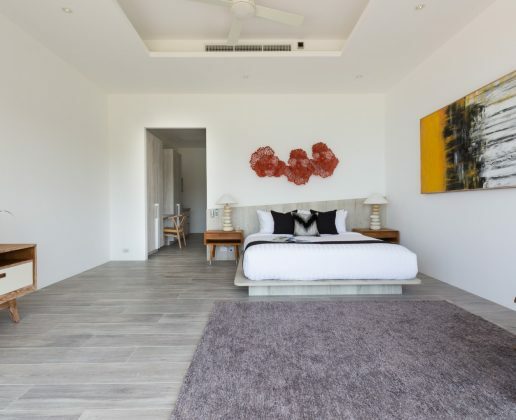 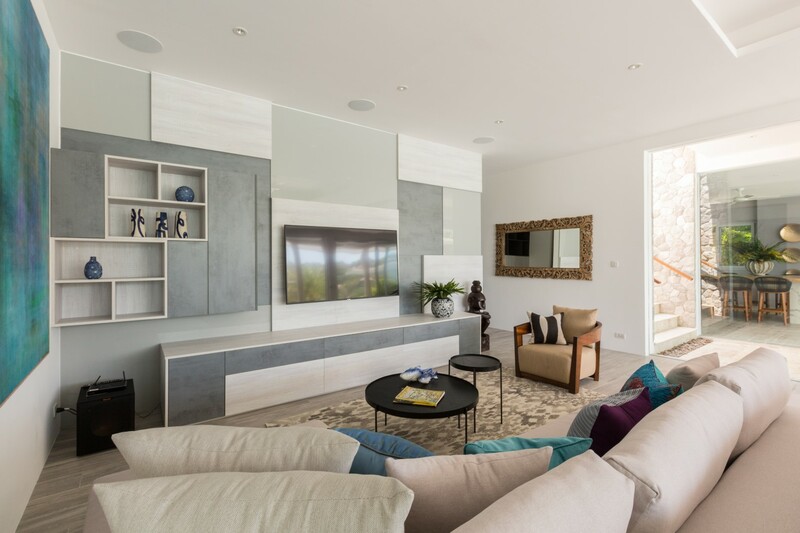 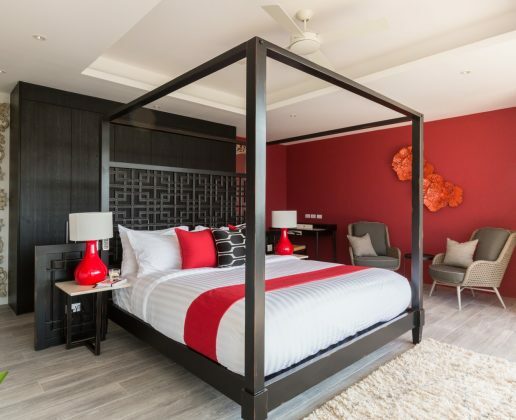 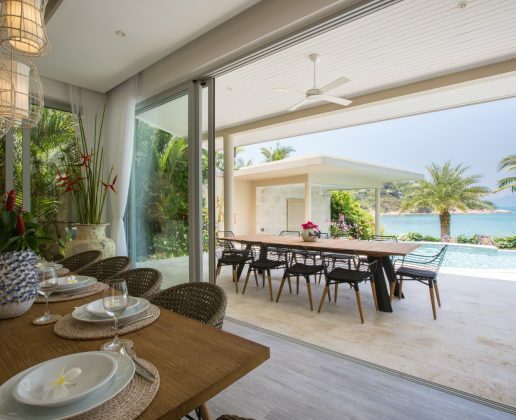 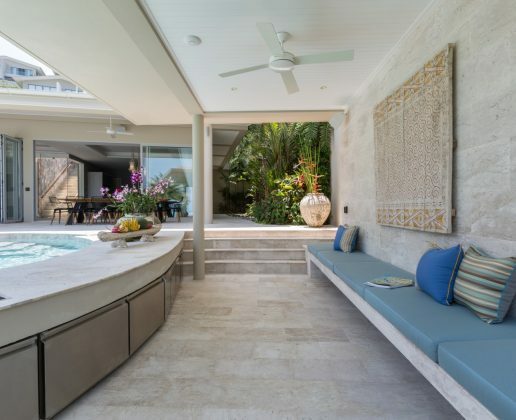 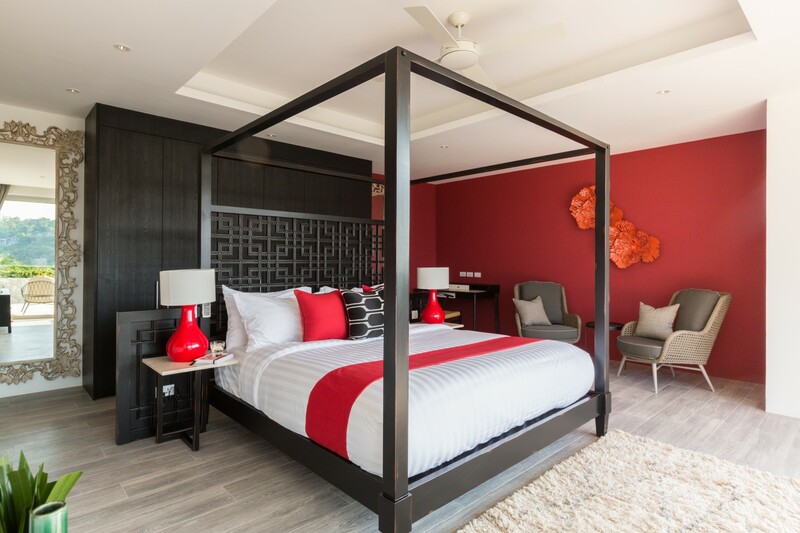 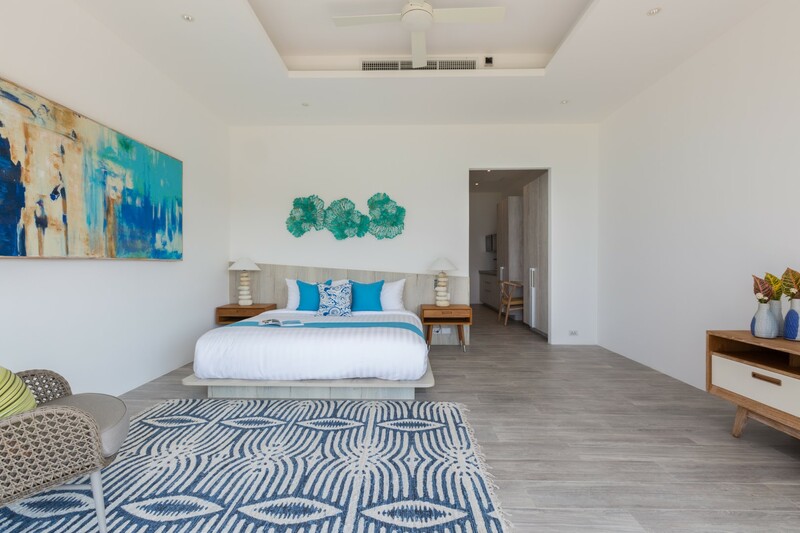 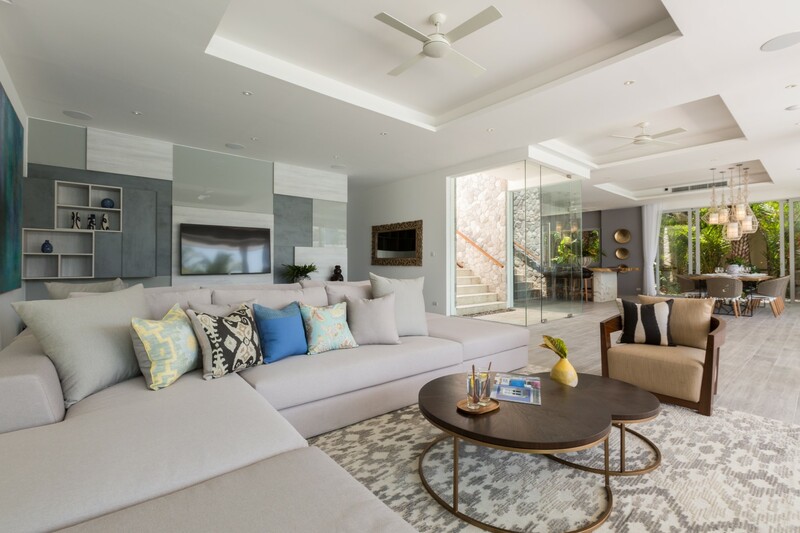 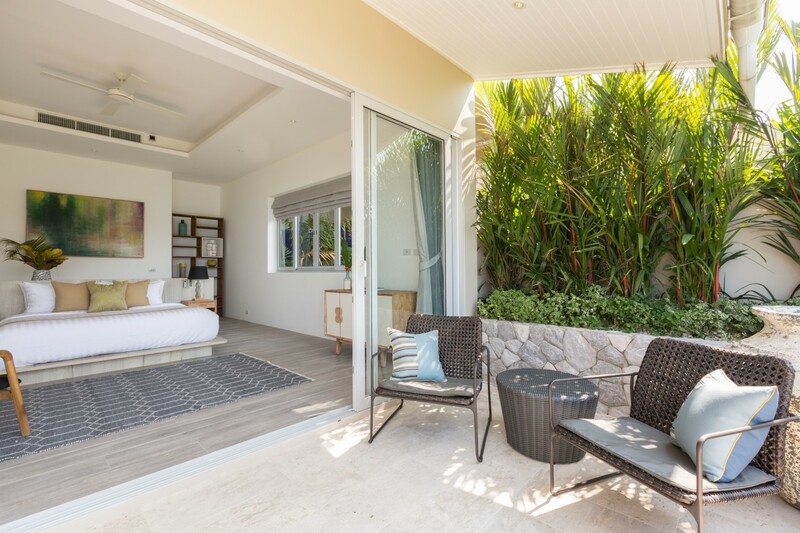 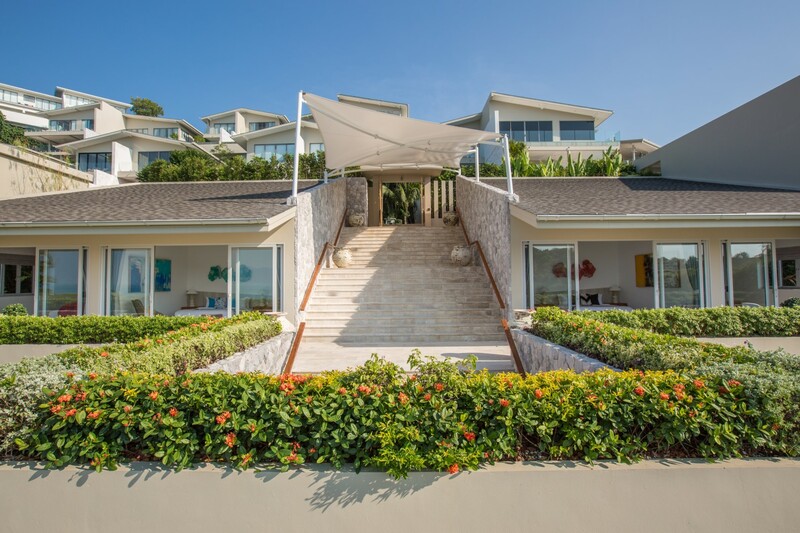 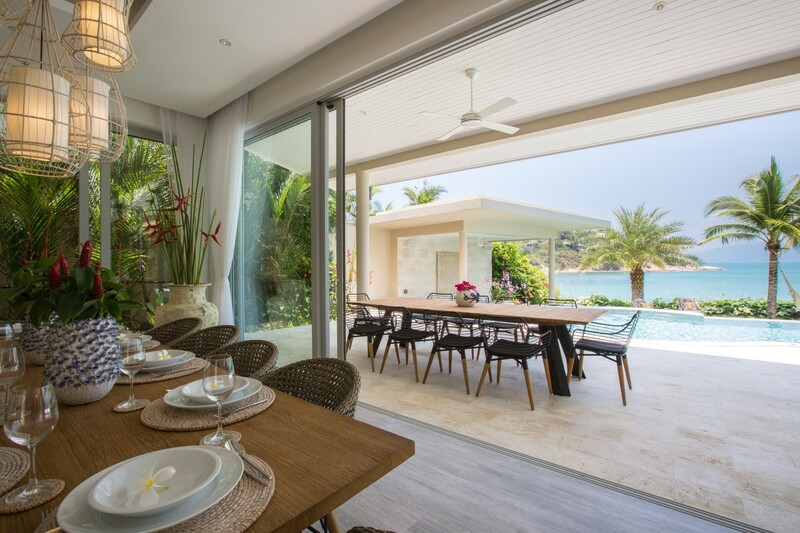 The Villa overlooks and has access to the spectacular powder white sand beach of Samrong Bay, a beach that is shared with the prestigious Sila Evasson, Six Senses Hotel. 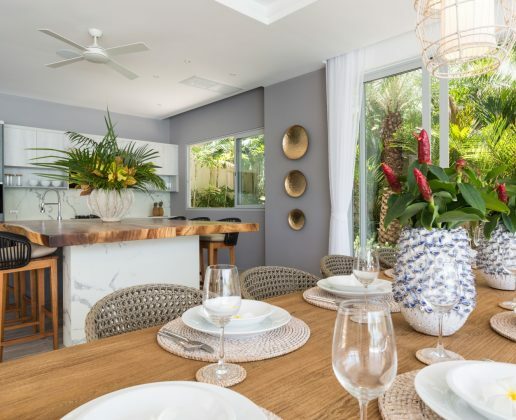 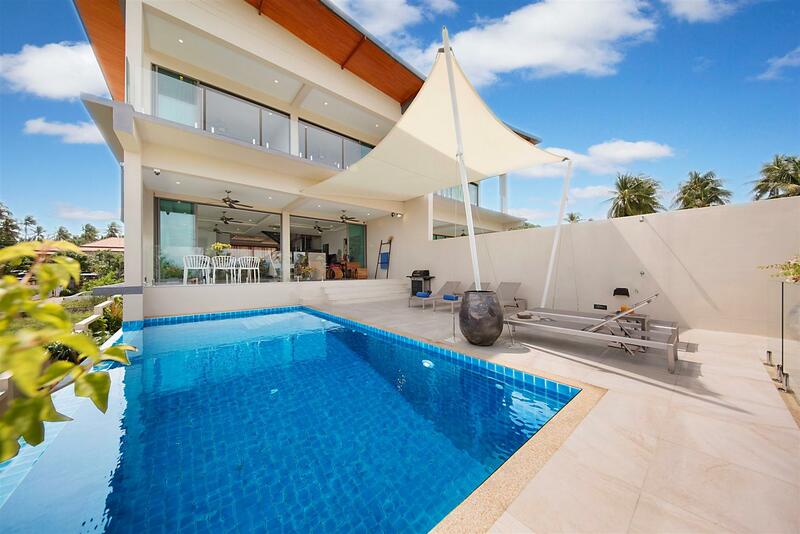 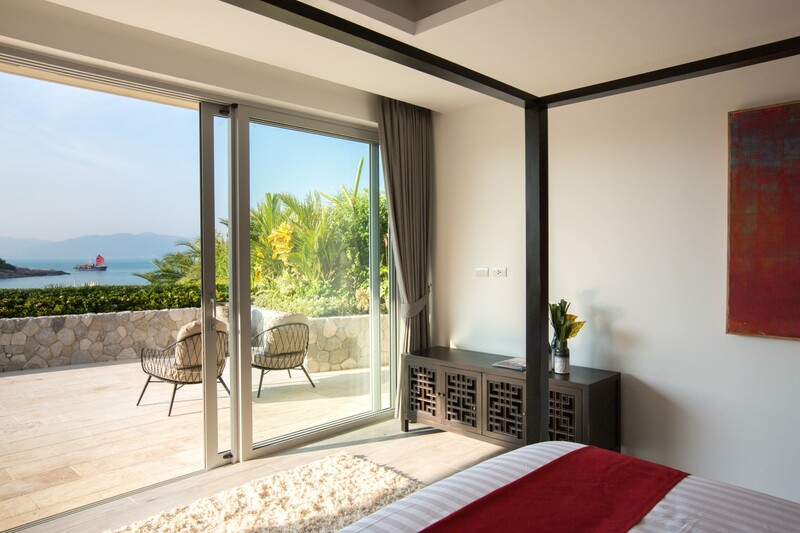 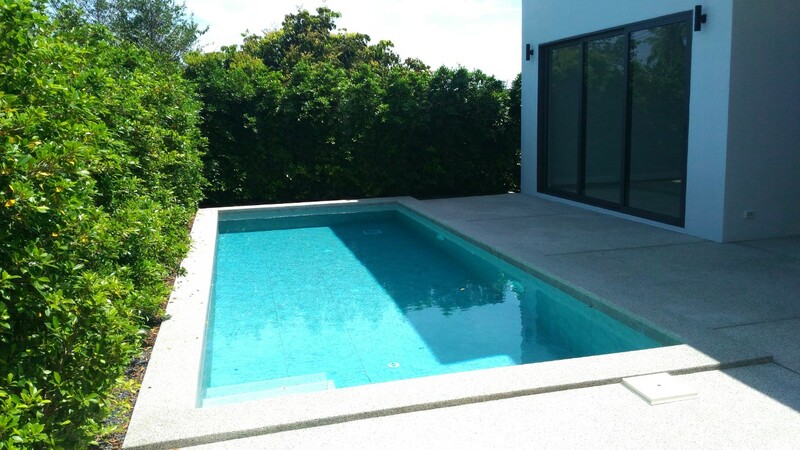 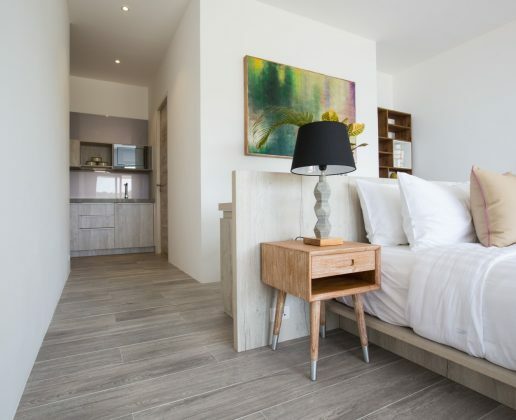 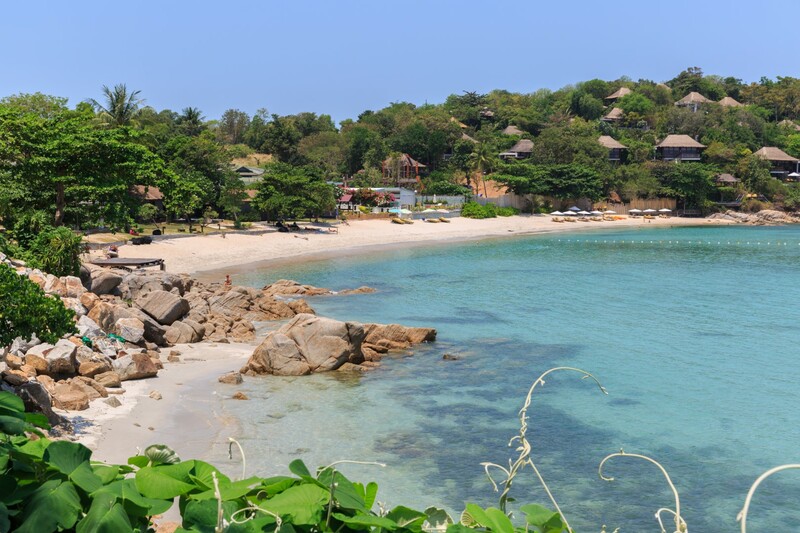 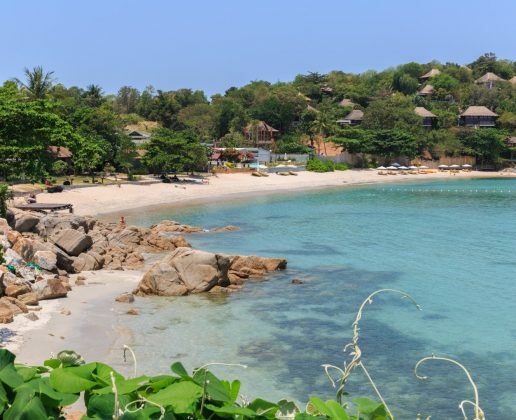 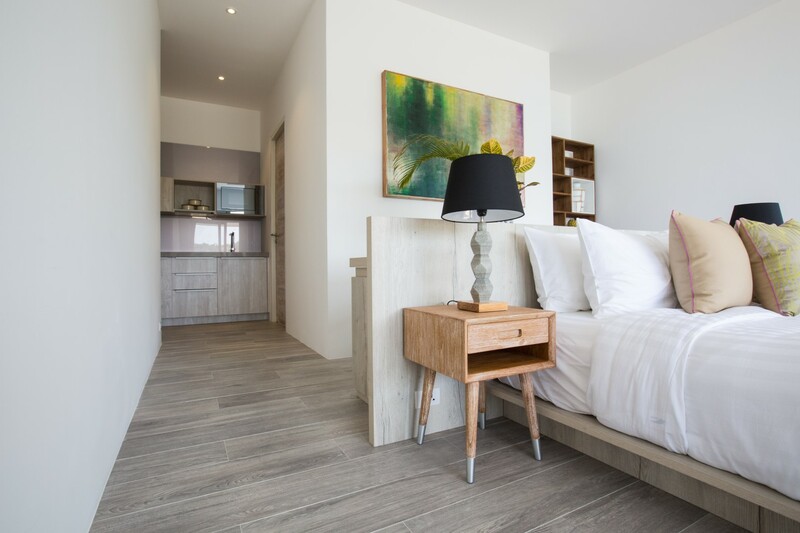 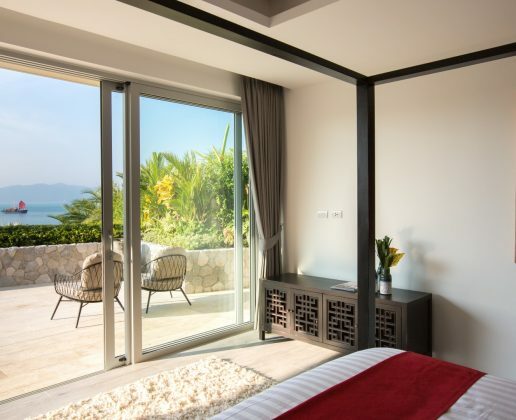 The villa is conveniently located within a 10 to 15 minute drive to the airport, Chaweng and Fishermans Village Bophut. 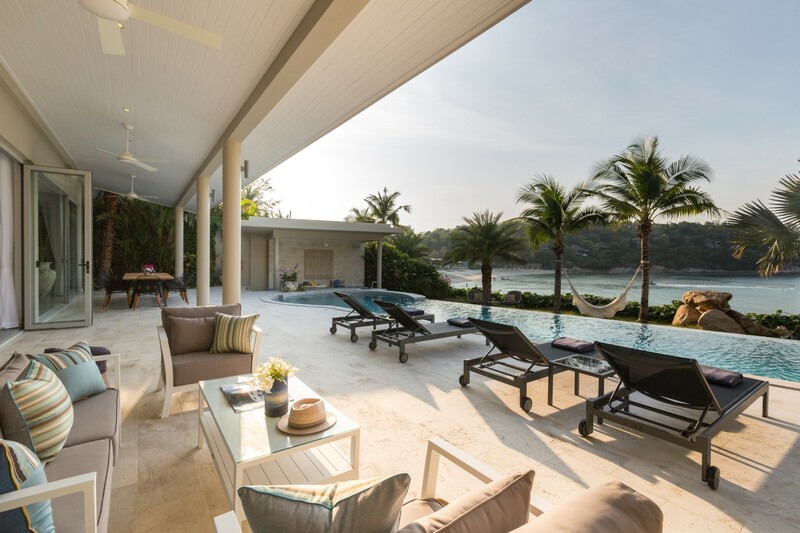 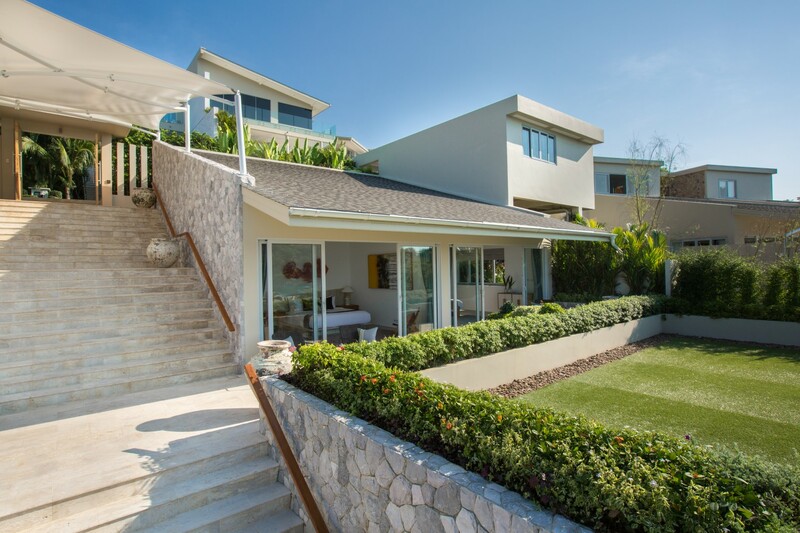 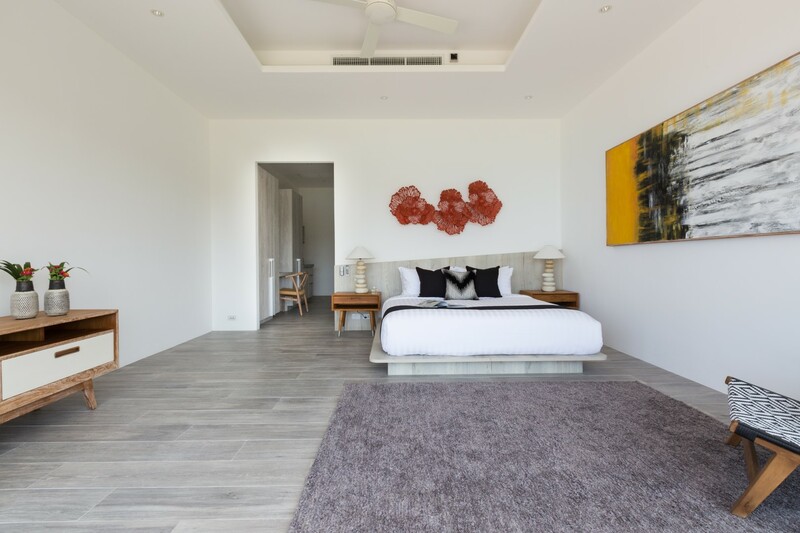 The 1,603 Sqm (built up area) five star luxury villa is built in a modern contemporary style with a Thai & Balinese influence. 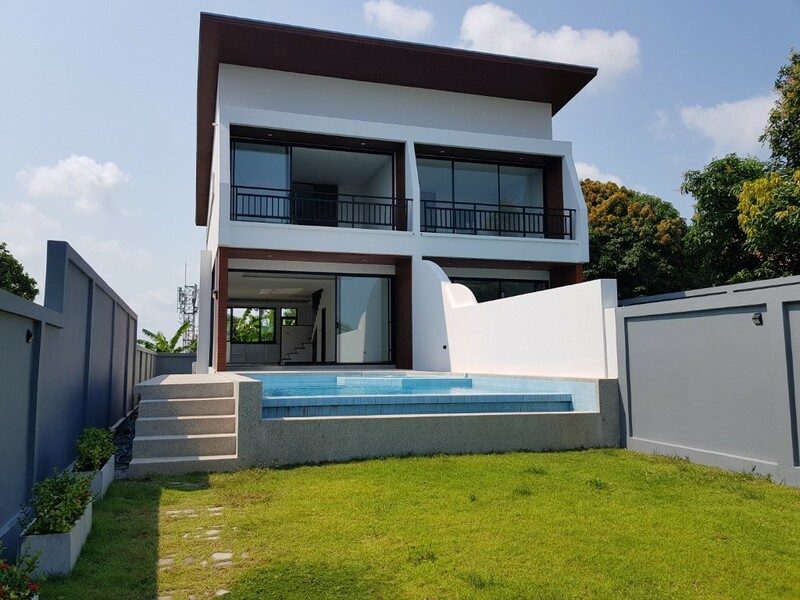 It has been built, finished and equipped to the highest possible specifications with lifestyle in mind, be it relaxing indoors or outside beside the beautiful infinity swimming pool. 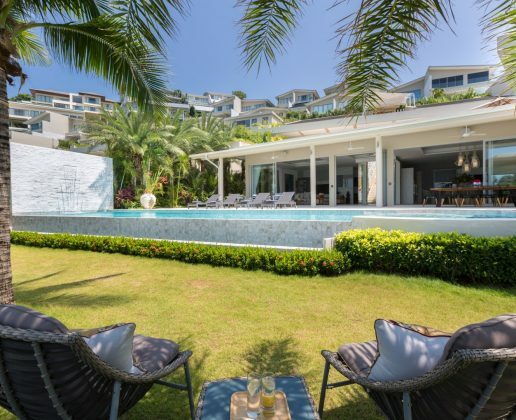 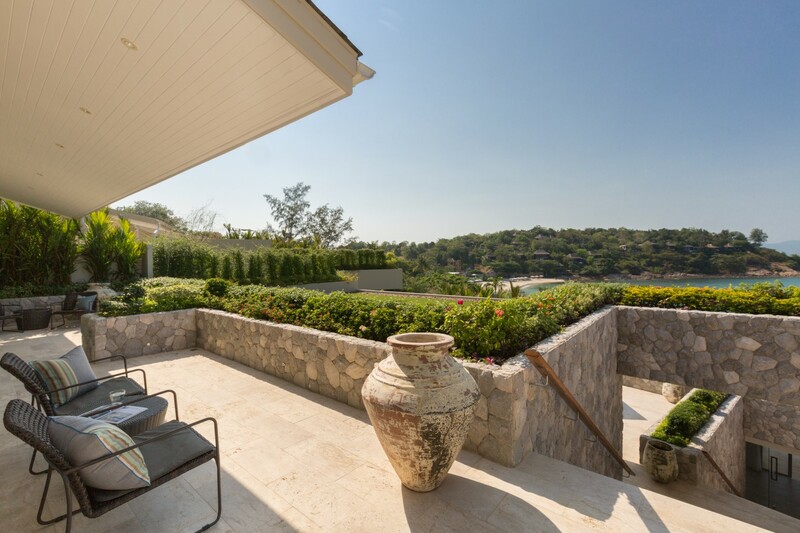 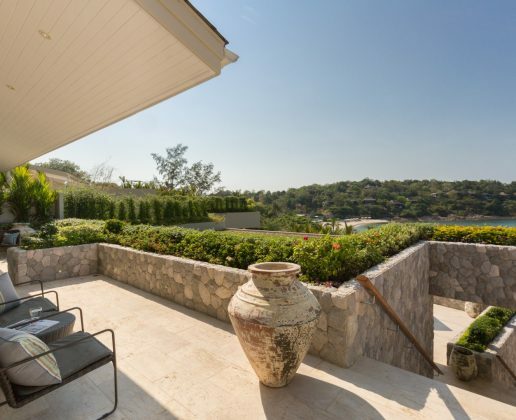 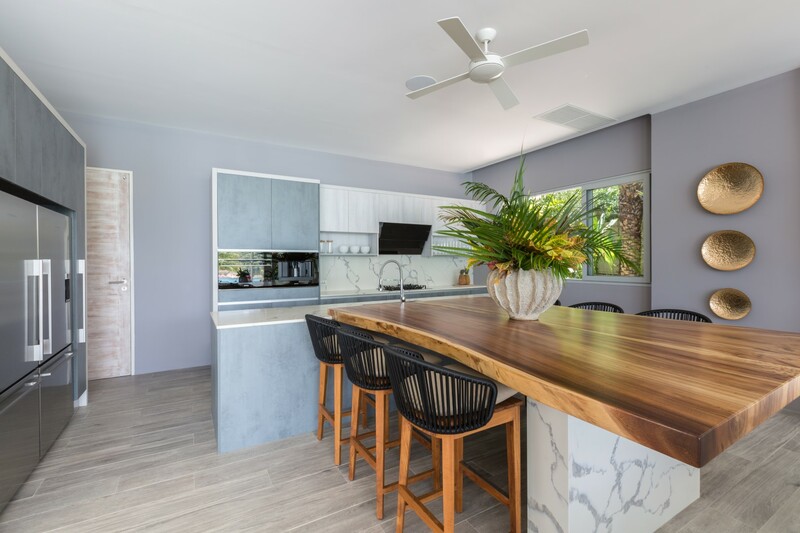 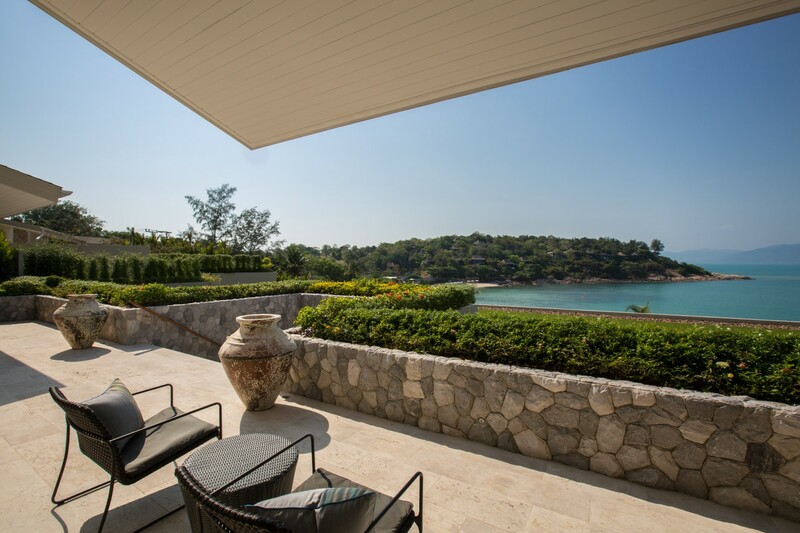 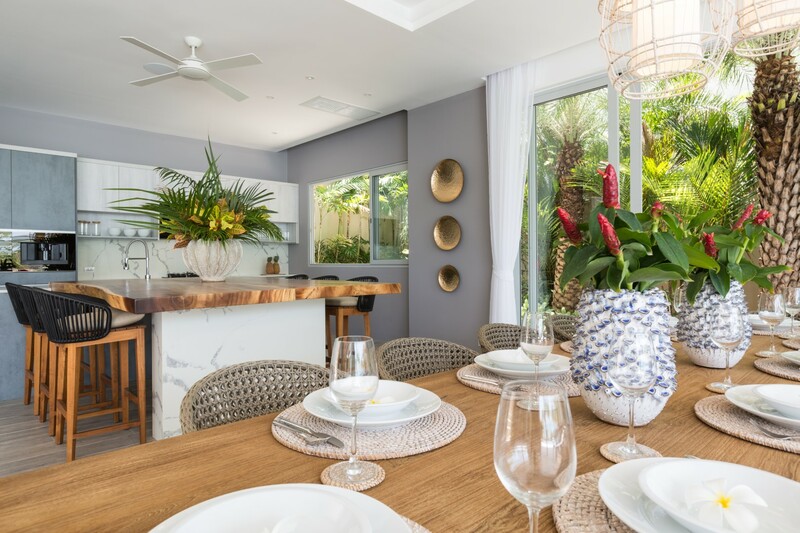 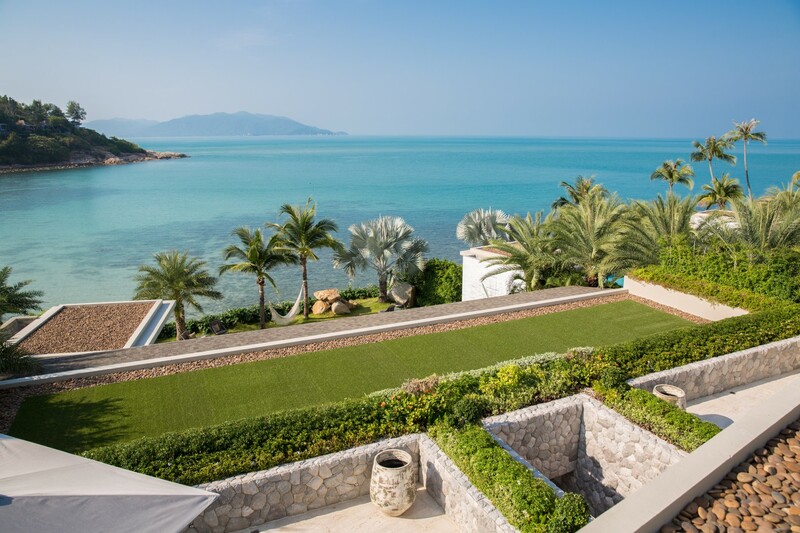 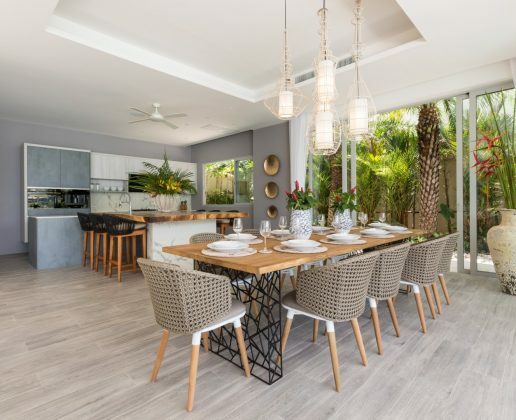 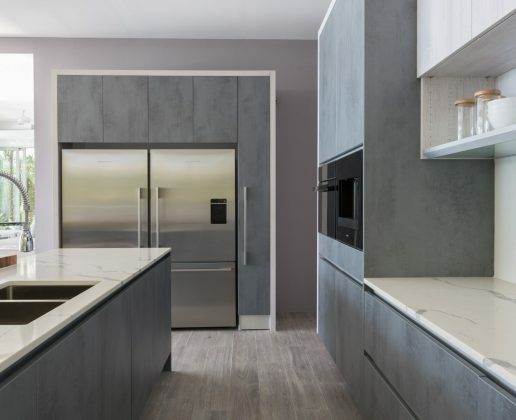 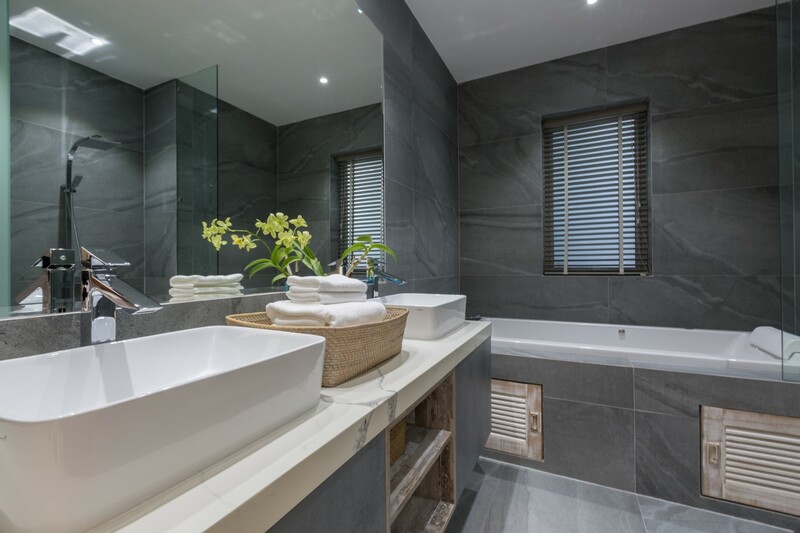 The Villa is surrounded with landscaped gardens and natural vegetation, and has sweeping panoramic sea views out to the Gulf of Thailand and the surrounding islands.